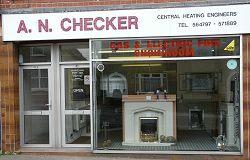 A N Checker central heating engineers started in 1968 as a one man band, ran by Tony Checker himself, he soon established himself as a trustworthy and reliable sole trader. Bigger and better work started to come his way and with it a need to expand the business, so he decided to take on employees to help his very rapidly successful growing company. He quickly outgrew his old office and stores, which was a converted wooden shed, and moved to the current premises in 1981. His two sons joined the company at school leaving age and are independently running the company today; following Tony’s traditional standards where by giving a good and efficient service will always be the main priority. In today’s very competitive market we feel that our company can offer a better service than most companies due to an in house service department ran by David Checker and excellent manufactured backed warranties from Worcester Bosch, our main boiler manufacture. The service and breakdown department ran by David will try to respond to most problems the same day, and carry out any repairs in one visit [parts availability permitting]. We also run a bespoke data base of customers that will automatically send a service reminder to you either by post or email depending on your requirements, this does away with any guess work on when you may think the service is due and therefore will keep any manufactured backed warranties valid. Stephen Checker our Surveyor / Designer has many years of experience in installation and design of gas central heating systems and will offer you true and honest advice on updating or renewing your gas central heating. Stephen can also offer advice on all aspects of gas boilers and gas and electric fires and fireplaces. 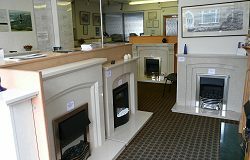 Our showroom boasts many gas and electric fireplaces including the ever more popular electric suites and wall mounted electric fires, which we are able to supply and fit at very completive prices and also can offer multiple warranties on both gas and electric fires. 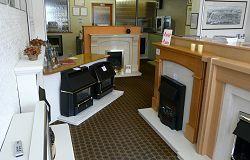 Our showroom is open 5 days a week and including Saturday mornings from September through to April 9-1pm, here we can offer advice on all aspects of your heating requirement’s and also give advice on gas and electric fires without any sales pressure and take bookings for your service or boiler breakdowns. We have been heating Bristol’s homes for over 45 years and pride ourselves in the service we provide which is also backed up by the amount of customer’s letters of gratitude shown on display in our showroom. For further information or quotations please feel free to contact us. Originals available for inspection at our showroom.